When you are in the middle of a great PC game you need your mouse to be highly responsive, fast and comfortable. The mice have to be ergonomic in design. Different gamers have different grips for holding the mice. The design should be optimized in a way that it naturally fits in the palm and fingers of the gamer irrespective of the grips. The DPI or Dot per Inch is a great factor for the gamers. Modern day gaming mice provide the adjustable DPI systems. 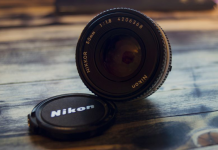 It is seen that gamers who are in love with First Person Shooting (FPS) games are very much fond of adjustable DPIs as it provides them with the ease to move and shoot quickly. The mice should be durable. At the time of intense gaming, the mouse has to endure a lot of things. Frequent moving and clicking are very common. But at the same time, some slamming and hitting on the mice against the desk is not unlikely when some exciting gaming is going on. For quick movement and feature selecting at the time of gaming you really need some smart buttons on your mice. Gaming mice give you that comfort. These are the reasons behind choosing a perfect gaming mouse. But that doesn’t mean that you have to buy the most expensive one. A complete balance between price and performance gives the right value of the device. Remember please, your PC peripherals does not need to be the most expensive one. Same is true for the gaming mice. The most expensive gaming mouse is not necessarily is the best one. 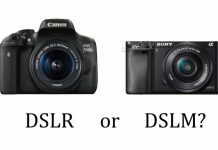 So the list we have made in this article will definitely help you to choose the best one for you. Each mouse discussed in this article is good. 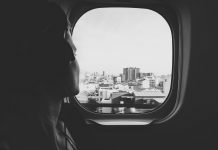 You just have to look at the features and select the best one for you. So just select a mouse according to your PC specs. If you have a $2500 PC then you should not use a $10 mouse with it. It will not fit! Here we will discuss the mice which we have tested and we will also analyze the features and pros and cons of each and every device. So without further ado, we should get into the main course. This mouse is specially made for First Person Shooting games. This is great for the fast movements and shooting. SteelSeries started to make high-end gaming mice with competitive prices and Rival 600 series is one the best they have ever produced. 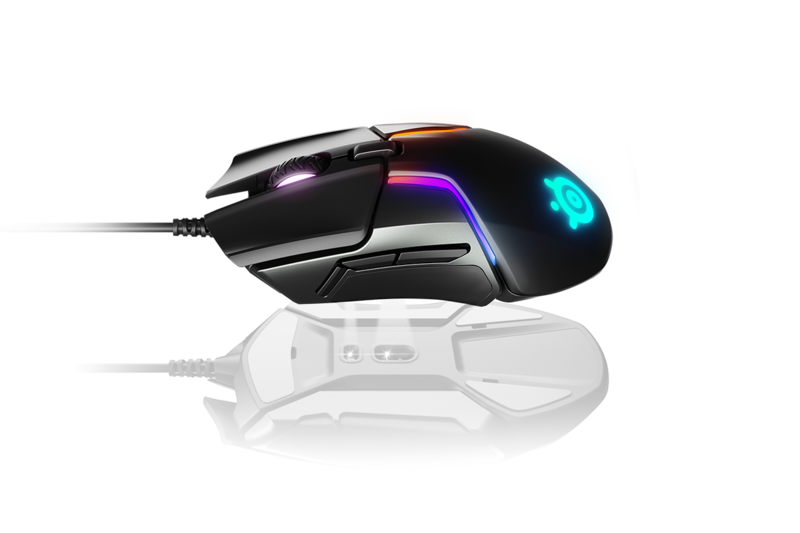 Rival 600 has excellent design, superb RGB lighting and fantastic dual sensor system. Optimized design for the gamers. It has fewer buttons than Rival 500. Rival 500 has 15 buttons whether Rival 600 has extra 3 buttons in addition to the usual scroll and left-right buttons. True move 3 plus sensor is there which takes care of the drift and lift. It has 256 weight balance systems. Excellent 1 to 1 esport sensor. True RGB spectrum lighting is introduced. Gamers will feel great and will be proud of this mouse. No lifts or drifts due to the presence of dual sensors. Adjustments of the weights help games to get their perfect balance. The switch is mechanical (Split-Trigger) so it can take up to 60 million clicks. Drifting is eliminated when the mouse is lifted off the mousepad or desk with the secondary sensor present in the mouse. This device is somehow pricier. Please go to the link – SteelSeries Rival 600 Gaming Mouse. The price is $79.99. SteelSeries has produced this excellent ambidextrous device. So no matter if you are left-handed or right-handed, this mouse will serve your both hands! 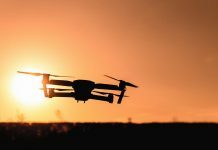 It comes with a newer sensor with improved software tweaks and tricks. The price is reasonable. So gamers should have a try at it. Now, we will be getting into details. It is the cheapest ambidextrous mouse. So use it with both hands. Matte-sandy finishes for a better grip. A natural fit for all types of grips. 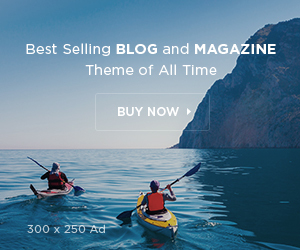 50 million plus click with the Omron Mechanical switches. Very reasonable price. You will not feel it as a hefty investment. You may be having palm grips or claw grips and these mice fit in any kind of grips. The build quality is solid and it is ready for some intense gaming. Presence of TrueMove 3 optical sensor makes each and every movement very smooth. The advanced jitter reduction technology gives you smooth movement due to tiny movements of your hands. The cable is not braided. So there is a possibility of the cable being prone to wear and tear. The sensor calibration support is not available. 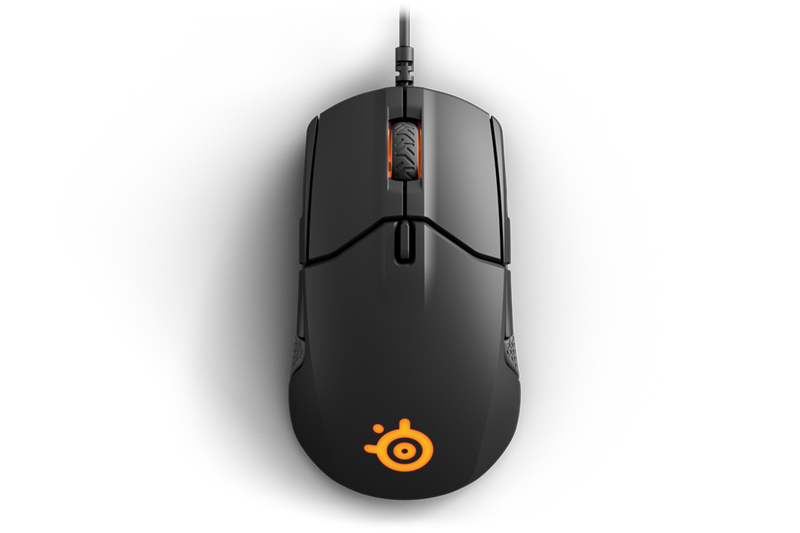 Please go through the SteelSeries Sensei 310 website for more info. The price is only $59.99. 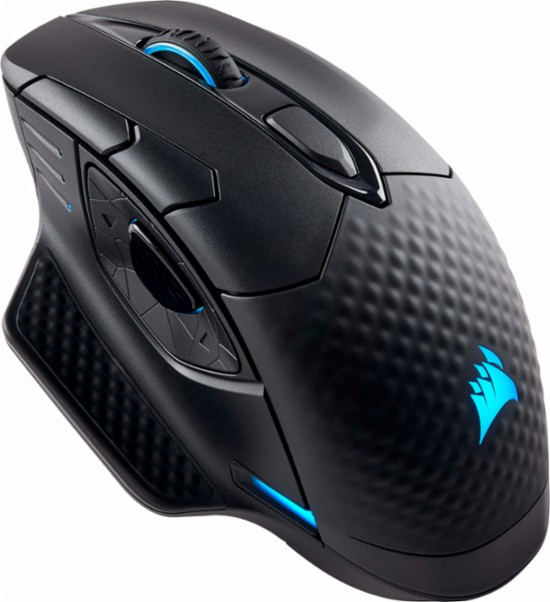 Corsair Dark Core wireless mice have totally changed the concept of wireless mice in gaming. Most of the time wireless mice are omitted for gaming purposes for their high latency. But this Dark Core RGB SE from Corsair has given them something to cheer about. It only has a latency of 1ms! On the detail discussion section, you will find the features and advantages along with some negative points. It has wireless QI charging facility. Any charger can be used to charge it. Interchangeable grips for the ease of the gamer. The buttons are fully programmable. If I analyze the features then I must say that the price is very competitive. Wireless charging facility is available with no need to get into trouble with the mouse cord and batteries. 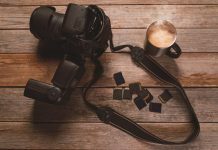 It can be charged on the mouse pads used by iPhone X or Samsung phones. No need to purchase extra mouse charging pads. The mouse is very sensitive having a range of 16000 DPI. There is almost no latency while playing the game. The battery life is long enough. For more information go to the official website of Corsair Dark Core RGB SE. The price is USD 89.99. 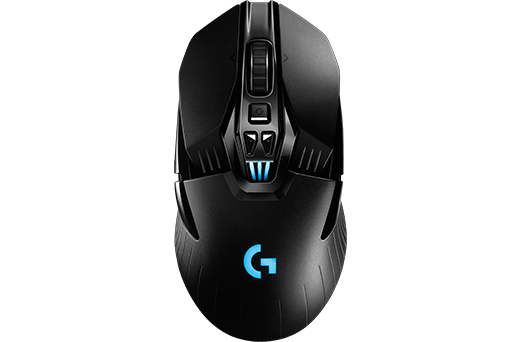 If you are looking for a great wireless mouse for gaming and you want to spend some money too then don’t look any towards any other devices, just buy the Logitech G903 wireless gaming mouse. Let’s discuss the features and merits as well demerits of this device. Excellent build quality with great design. Wireless charging facility is available. The wireless connectivity is very reliable. It is super fast 2.4 GHz wireless connection. The shape is very comfortable and a great fit for any kind of grip. 32 hours battery life without any kind of lightings. Luxurious and unique PowerPlay mat for charging the device is available. But it will be expensive. The wireless connectivity is very much accurate. It has a puck-shaped cavity underneath. This feature helps you to add some weight (10 grams) on the mouse for a better control. A power module is also there for connecting to the cavity. With one full charge, the mouse can run up to 24 hours with lightings. The price can be seemed unreasonably high to some users. All QI charges are not supported by this mouse. You have to buy its expensive mouse pad for wireless charging. If you are a gamer who likes versatile games then you will not settle down for any one genre of game. So frequently you have to change the mice for your convenience. But luckily, there is a mouse which will serve you for different types of genres of games. 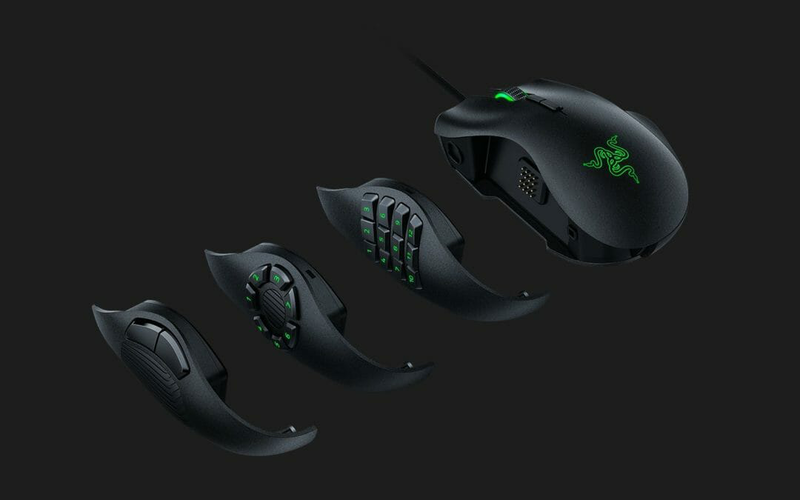 One mouse with different game genre functionality is the Razer Naga Trinity. With its easily swappable side plates, the mouse can be adjusted to the game you want to play. So without further ado, let’s begin analyzing its features, pros and cons. MMO/ MOBA and all the other types of games can be played easily. Swappable side plates make it easier for the gamer to change the mouse feature according to the game type. 16000 DPI 5G sensor is present. Razer RGB chroma lighting makes the mouse look awesome. Customizable side plates are an excellent addition for the gamers to play different types of games. Smooth motion tracking facility is there. Comfortable fit in the palm or claw grips. Customizable weight option is not available. Mechanical side buttons are kind of stiff to use. Asus’s Republic of Gamers (ROG) is continuously producing superb gaming products for the hard-core gamers. And Asus ROG Gladius II is the newest addition to their armoury which will be loved by the serious PC gamers. It has mechanical OMRON switches. So 50 million clicks is not an issue. Removable left and right buttons are there. Cool RGB lighting is a great feature of this mouse. Solid build design, looks flashy. The clickable scroll wheel, sensitivity toggle along with boasting swappable button options makes it a great addition to a gamer’s weaponry. Due to its robust design, you don’t have to be tensed while you are in some kind of intense situation in the game and you have slammed you mouse against the desk. It gives you the natural feel in any kind of grips whether it is claw or palm grip. 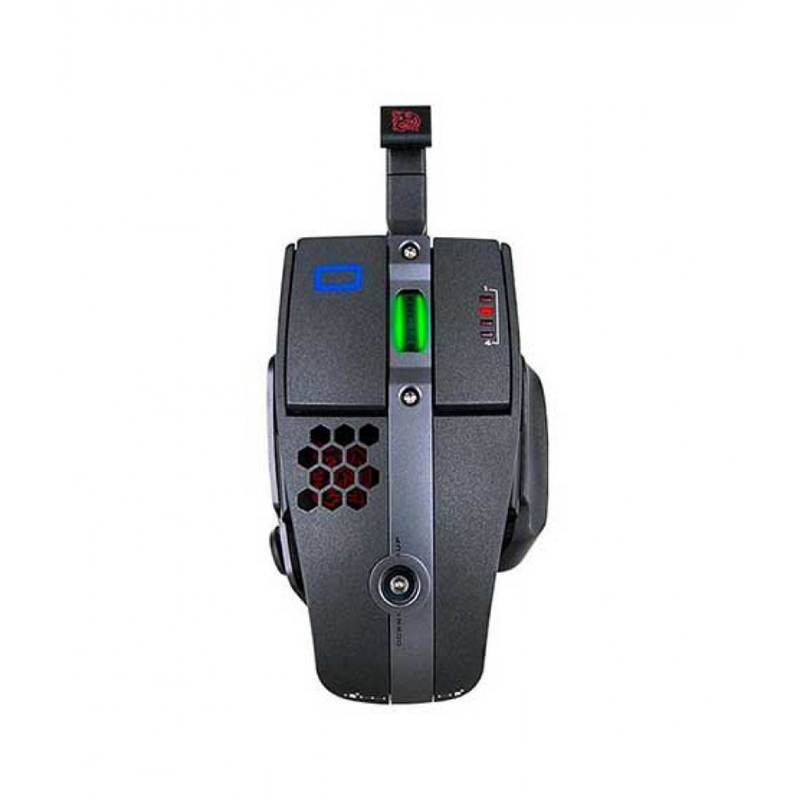 12000 DPI advanced optical sensor makes the mouse super sensitive. Fewer buttons make it great for gripping and also gives a nice look. 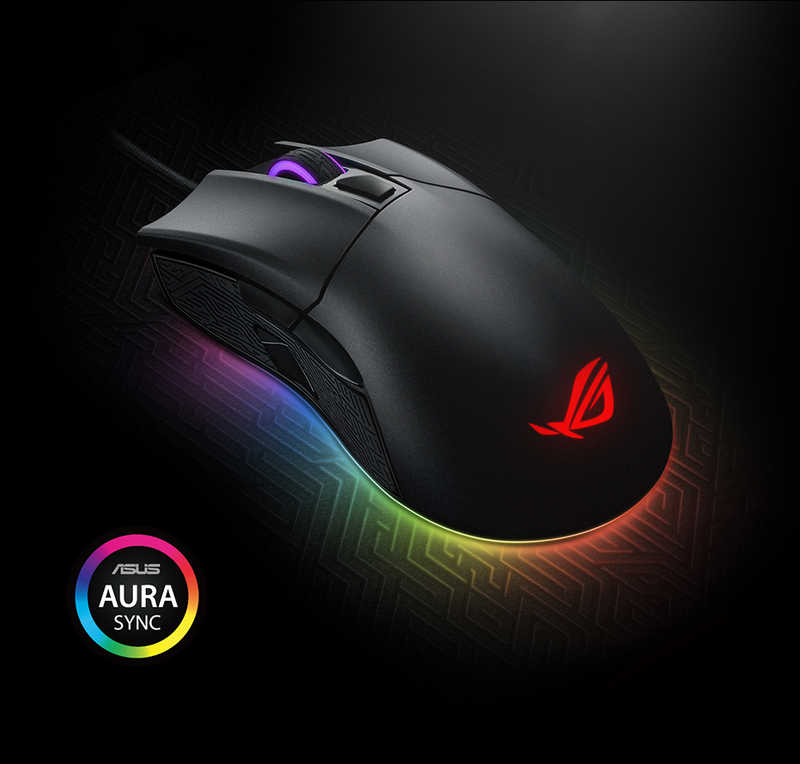 The color and animation of the mice can be customized by the ROG armory software. Great comfort to use due to ergonomic design. It is expensive in comparison to the other mice of the same specs. So not every gamer will be eager to buy it. It does not have the option of weight swapping. 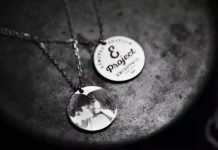 Check the website. 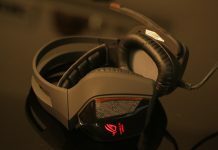 Asus ROG Gladius II. The price is $89.99 to $99.99 in Microsoft store. 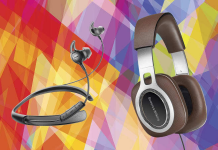 Well, creative is mainly known for its wide range production of sound cards and music systems. But this time this renowned company is giving a good competition to the big names like ASUS and Logitech who are specialists of gaming devices. We will be discussing all the features of this impressive mouse. Japanese OMRON mechanical switches give you at least 50 million clicks. The buttons are totally programmable. 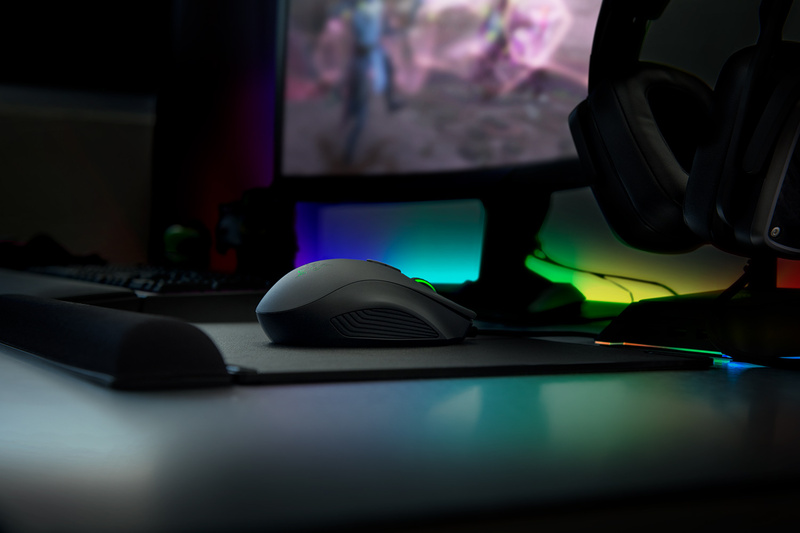 Fantastic RGB lighting scheme makes the mouse a boss of style and functionality. It has the classic pear-drop form which is mainly designed for claw grip. But it works well with palm and finger grip as well. Great features at a very reasonable price. The super sensitive sensor gives you ease at the time of gaming. The 7 excellent quality buttons give you all types of functionality with great comfort. The lighting scheme can be controlled by the Sound Blaster Connect Software made by creative. Sound Blaster Connect application gives the gamer opportunity to change the functionality of the buttons. Weight is a bit higher. Sometimes balancing can be a problem with these mice. Mice are designed mainly for the right-handed people. Visit the Creative Sound BlasterX Siege M04. The price is $ 64.99. Cooler master MasterMouse MM530 is a simple mouse. 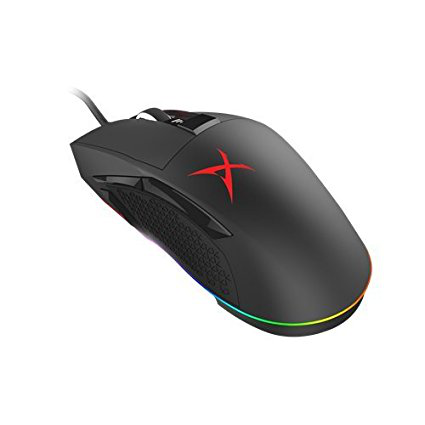 If you want to save some money but at the same time want to get some good functionality then this mouse will be good for you. Though it is having a 12000 DPI, the price is very reasonable. Three-zone RGB lighting gives a great visual to these mice. It is very durable and PBT plastic made. Pixart PMW-3360 sensor is available. The mouse weight is well balanced. No extra weight adjustment is available. Good quality mouse you are getting at a very reasonable price. Palm grip gamers will find it extremely comfortable. It seems that the mice are not optimized for larger hands. The gamers with bigger hands may face some problems holding the mouse. 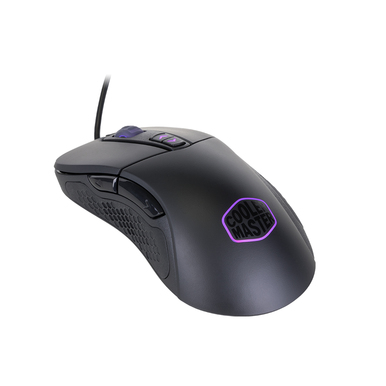 Visit the official website for the Cooler Master MasterMouse MM530. The price is $49.95. Most of the gamers like the wired mouse while they are immersed in some intense gaming. It is because they want the game uninterrupted and without any latency. But Thermaltake Tt Sports level 10M is giving the opportunity to the gamers to switch between wired and wireless mode. It has a DPI of 16000. The ergonomic support in the design is excellent. The aesthetic is also very good. Gamers will have the comfort of switching the mouse to wired and wireless mode. It has included the hybrid functionality. Hybrid six button works great. It has an aerodynamically designed ventilation system. It improves the longevity of the mouse. Tt esports Plus+ software support is there for the PC gaming. It helps the gamer to analyze the gaming performance directly on the PC screen. Very low latency in the wireless mode. Excellent OMRON switches. The ARM processor, Ergonomic adjustments are superb. 16000 DPI sensitivity is great for the gamers. Lift-off control and angle-swapping options are very accurate. The price is very reasonable in comparing the functionality they are providing. Brilliant RGB color produces 16.8 million colors. So the mouse looks beautiful. More than 50 million clicks can be done with Japanese Omron Switches. The wired to wireless change can be very awkward. It does not have any weight adjustment feature. Visit Thermaltake Tt Sports level 10M site. The price is $69.99. So this is it! A complete list of the mice that you can analyze and afterward take a decision about buying. Go through the features and match it with your requirements. Select the right mouse from the list. Different mice have different DPI and pros and cons. You may be a gamer who likes to play FPS game or MOBA or Strategic Games. So this list is made by keeping in mind all types of gamers. Hopefully, you have enjoyed the list and will be able to find a cool mouse from it.